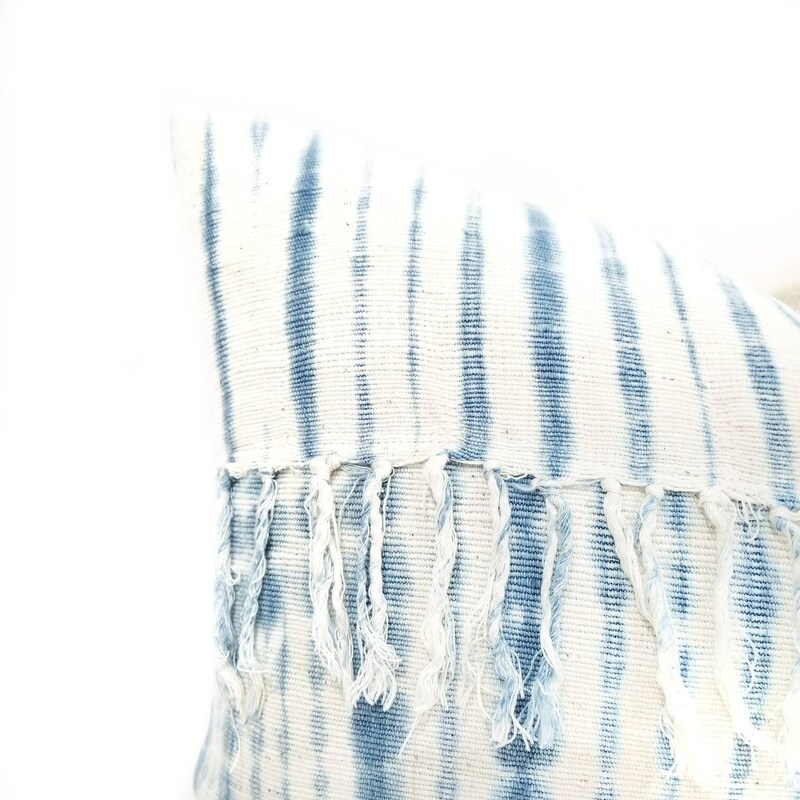 Approximately 13"×21" illow cover made of indigo tie dye stripe pattern african mudcloth. Fitted with a 14"×22" insert. 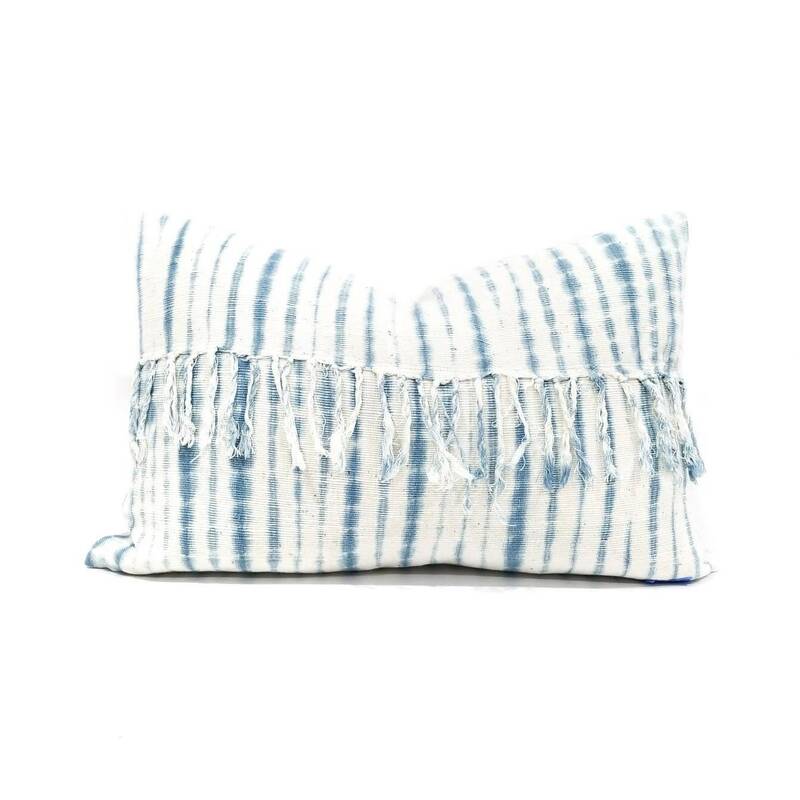 *Actual measurement of the pillowcase will be smaller by 1". Size indicated in title is the insert you should be using to fill the pillow.